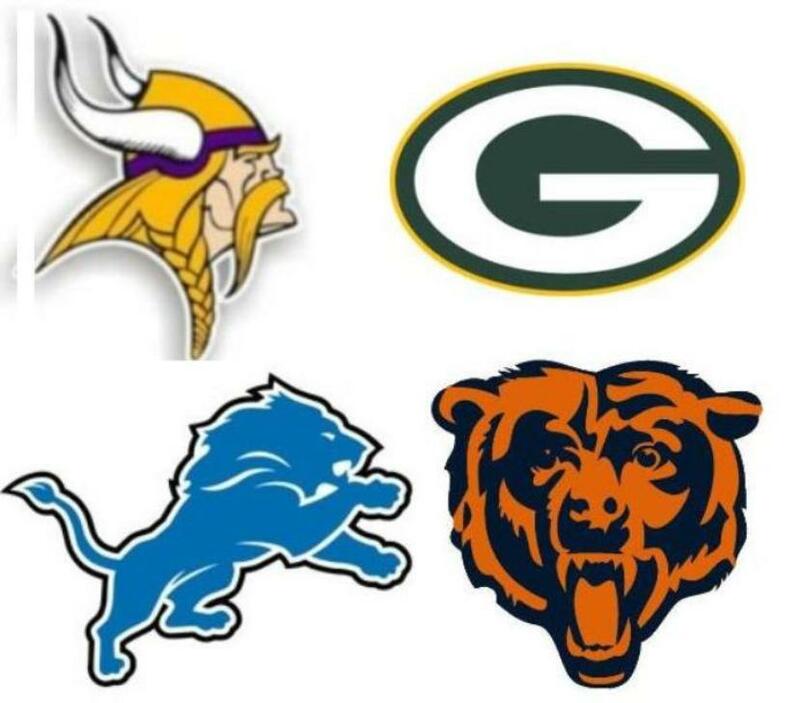 Today I look at the NFC North. The Bears needed help in the secondary and on the defensive front and they addressed those issues with the first three picks. Kyle Fuller is the latest of the Fuller brothers to play in the NFL. His oldest brother Vincent played seven years as a corner with the Titans and Lions. His brother Corey is a receiver for the Lions (that might be a fun matchup). Kyle has good size, but doesn’t have great speed. He excels in off coverage and has great anticipation and instincts. Fuller has the ability to cover the slot and will give the Bears good depth behind Peanut Tillman and Tim Jennings. He should be able to get on the field immediately in nickel situations and on special teams. Fuller should become the starter when Tillman eventually retires. Ego Ferguson has very good size and athleticism, but he is raw. He also disappears at times so some have questioned his motor. Will Sutton was the PAC-12 Defensive Player of the Year for the last two years. He played better in 2012 when his weight was down. Many people thought he needed to put on weight, which he did in 2013 and he lost quite a bit of his quickness. When his weight was down, he was very disruptive. Ferguson and Sutton will likely start the year behind Stephen Paea and Jay Ratliff. Ratliff will be 33 when the season starts, so either Ferguson or Sutton may get a chance to start next year or if Ratliff gets injured. Ka’Deem Carey rushed for 3,814 yards the last two years. He led the country in rushing in 2012 and was a close second in 2013. He doesn’t have great speed, but he runs angry and I’m sure he will be out to prove that he should have been drafted higher. With Matt Forte in front of him, he may not get many chances to get on the field this year. Brock Vereen was another opportunity to strengthen a Bears secondary that needed help. His father, Henry played in the CFL and his brother, Shane is a running back for the New England Patriots. He is athletic and displays good range in deep coverage. Vereen is better in coverage than against the run, so he is a true free safety. He understands pass defense and takes correct angles to keep receivers in front of him. Vereen may get a chance to crack the starting lineup at some point this year with Chris Conte in front of him. David Fales is an interesting pick. The Bears have Jay Cutler as their starter. Cutler has one of the strongest arms in the league. Fales is a completely different quarterback. He doesn’t have great arm strength, but he reads defenses well. Fales is a gym rat that may succeed because of his intelligence and passion for the game. The question is if he will ever become an NFL starter or just a career backup. He will start off with Cutler, Jimmy Clausen and Jordan Palmer in front of him. He will need to impress in the training camp to make the 53 man roster, but if he doesn’t make the final roster, he would be a good candidate for the practice squad. Pat O’Donnell is a good athlete, which is normally something you can’t say about a punter. He ran a 4.64 40 yard dash which is outstanding for a punter. O’Donnell has a good chance to make the team with only Tress Way to compete against. Charles Leno played left tackle for the Broncos. He has good arm length, but needs work on technique. His position at this level may be at guard rather than at tackle. The Lions had to hate that Justin Gilbert was taken two picks ahead of them by the Cleveland Browns. The Lions have needed a corner for years. Once Gilbert was taken, Ebron was likely too hard to pass on. Ebron is a very athletic tight end with good hands. He can split out and line up all over the field. This will give the Lions a target to take the pressure off of receiver Calvin Johnson and should become quarterback Matthew Stafford’s security blanket. Ebron’s main competition for the starting job is Joseph Fauria and he is really just a red zone and a short yardage target. Ebron can stretch field better than any tight end currently on the Lions roster. I have been a big fan of Kyle Van Noy’s for quite some time. He is a playmaker that steps up when his team needs it most. Van Noy can do pretty much anything you need from a linebacker, including contributing on special teams. His forte’ is rushing the passer and he should get chances to do that, even if it’s just from nickel packages. Van Noy will start out behind Ashlee Palmer and DeAndre Levy, but don’t be surprised if he’s not the starter by the end of the year. Dominic Raiola is the Lion’s starter at center and he will be 36 years old by the end of the season. Travis Swanson gives them someone that can learn from Raiola and step in once Raiola’s career is over. He also gives them some versatility with the ability to play guard if needed. In the 4th round, the Lions finally drafted that corner they needed. Lawson is very talented, but needs time to develop. Look for him to contribute on special teams and possibly in nickel packages this year. He will play behind Bill Bentley and Darius Slay who are both very young. If he is to become the starter, he will have to beat one of them out, which probably won’t happen this year. Larry Webster is a small school player with a lot of potential. He is a former basketball player and at 6’6”, he has nice length for a defensive end. He plays with very good leverage and has an impressive bull rush. He had a sack in the East – West Shrine game and played well. Caraun Reid played both nose tackle and defensive end in a 3-4 defense. He seems to be tailor made for defensive tackle in a 4-3 scheme. Reed has good quickness and is disruptive. He works hard and plays with good energy. The strength of the Lions is their defensive front, so he will have to work hard to get into the rotation. He will have Nick Fairley, Ndamukong Suh and possibly CJ Mosley and Andre Fluellen in front of him. If he is to make the 53 man roster, he will have to look better than Mosley or Fluellen in the preseason. T.J. Jones is a slot receiver that is smooth, athletic and plays bigger than his 6’0” frame. He runs very good routes and terrific hands. The roster is stacked against him with Calvin Johnson, Golden Tate, Kris Durham and Ryan Broyles ahead of him. He is probably a candidate for the practice squad. David Akers was the kicker for the Lions in 2013. Akers is an unrestricted free agent that has not signed, so it looks like Nate Freese will be given a chance to be the kicker. The Packers biggest need was a safety and they got the best free safety in the draft. Ha Ha Clinton-Dix is very good in deep coverage. He uses great angles and has great range. Nick Saban is known for turning out top notch defensive backs and Clinton-Dix is no exception. He should have no problem being the opening day starter at free safety. Could Davante Adams gone to a better situation? The Packers have let some of their veteran receivers move on. They tend to use multiple receiver sets for the most part. Jordy Nelson and Randall Cobb will be the starters, but Adams has a chance to be the 3rd or 4th receiver. He has the size and leaping ability to be a threat in the red zone as well. Khyri Thornton was a 3 technique for Southern Miss, but it looks like the Packers will try him at defensive end in their 3-4 defense. In college he was allowed to move up and down the line to take advantage of matchups, so he should be able to make the switch. Getting on the field may be a struggle for him. The starters are Datone Jones and Mike Daniels. They also have Jerel Worthy and Mike Neal, so training camp will be really important for him in terms of making the team. Tight End Jermichael Finley was a disappointment in Green Bay and looks to be on the way out. Richard Rodgers could be his replacement. Rodgers is a former wide receiver, but has bulked up. He played tight end and slot receiver for Cal. He has very good hands and is good on short and intermediate routes. He has Andrew Quarless and Ryan Taylor ahead of him on the depth chart. He should be able to make the final roster and get some reps in special packages. Carl Bradford had 20 sacks in the last two years for the Sun Devils. Most people had him as an outside linebacker, but it appears that Green Bay will move him inside and take advantage of his running ability to chase down plays. He has AJ Hawk and Brad Jones ahead of him on the depth chart, but he should be able to lock down a backup position behind them. Corey Linsley gives the Packers depth in the interior of the line. JC Tretter, who was a 2013 draftee is ahead of him, so unless there is an injury, it may be hard for him to find the field in 2014. I really like Jared Abbrederis. He doesn’t have great speed, but he has a knack for making big plays. Abbrederis has very good football IQ and knows how to get open. He may have a tough time making the roster, but I wouldn’t count him out either. The worst case for him should be a spot on the practice squad. Demetri Goodson is a very athletic corner. He is a former starting point guard for Gonzaga, who transferred to Baylor to play football. Goodson is extremely raw and will likely be a candidate for the practice squad. Jeff Janis is a small school guy with good size and good speed. His biggest challenge will be making the jump from Division II to the NFL. With two other receivers drafted ahead of him, he will have his work cut out for him. For the second straight year, the Vikings had multiple first round picks. Anthony Barr is a former fullback that moved to outside linebacker in 2012. He has adapted very well and has 24 sacks in the two year span. Barr dominated for the Bruins and was all over the field, constantly pressuring the quarterback. He will likely be the starter on the strong side of the Vikings 4-3 defense where he may not blitz quite as much and could be asked to drop more into coverage. He should become a very productive player for the Vikings. Anyone who has read my work, knows how much I love Teddy Bridgewater. I’ve watched him for three years and I believe in this kid. I don’t care what his pro day was like, I know he can play. It looks like Matt Cassel may begin the season as the starter, but I look for Bridgewater to eventually win out and be the quarterback of the future for the Vikings. Scott Crichton was a good value pick in the 3rd round. He is an energizer bunny that is always around the ball. He has Brian Robison and Everson Griffen ahead of him, so he will probably be used in nickel or dime packages this year, but I Look for him to eventually become a starter. Jerick McKinnon is an interesting pick. He may be the most versatile player in the draft. He played quarterback, running back and even corner for Georgia Southern. Some scouts actually liked him as a corner, but I believe running back may be his best position. McKinnon shouldn’t have any problems becoming the backup running back, but unless Adrian Peterson gets hurt he may not get many touches. David Yankey is a former left tackle that is probably a better guard. He is a brawler that was a steal in the 5th round. His competition for a roster spot will be Charlie Johnson, Brandon Fusco, Jeff Baca and Vladimir Ducasse. I really like Yankey, but he has several young players to beat out to claim a roster spot. This will be an interesting training camp battle. Antone Exum may have been one of the top corners in the 2014 draft if not for a knee injury that he suffered in a pickup basketball game. He only played three games in 2013 and did not play well. Most players do better in their second year after a knee injury, so Exum will be someone to keep an eye on. He will have to beat out Xavier Rhodes, Captain Munnerlyn, Josh Robinson and Shaun Prater to get playing time. Kendall James made it two straight corners taken by the Vikings. He is a competitor, but he will have a tough time making the 53 man roster. Shamar Stephen has good size, but isn’t quick off the ball and doesn’t have great instincts. I don’t see him making the roster. Brandon Watts is an athletic linebacker that runs well to the ball. He also has the ability to drop into coverage. The Vikings will have Barr and Chad Greenway as the starters on the outside. Watts’s competition for a roster spot will be Larry Dean and Gerald Hodges. He may have a good chance to make the team. Jabari Price may have a tough time making the roster. He is the third corner the Vikings drafted. Next Wednesday, I will be posting my analysis on the NFC South. If you like what you read, please like us on Facebook and recommend us to your friends. This entry was posted on June 18, 2014 by draftmaniacs in Draft Analysis and tagged 2014 NFL draft, Anthony Barr, Chicago Bears, Chicago Bears Draft, Detroit Lions, Detroit Lions Draft, Eric Ebron, Green Bay Packers, Green Bay Packers Draft, Ha Ha Clinton-Dix, Kyle Fuller, Minnesota Vikings, Minnesota Vikings Draft, NFC North, NFC North Draft, NFL, NFL Draft, Teddy Bridgewater.